Fully zippered polytex. 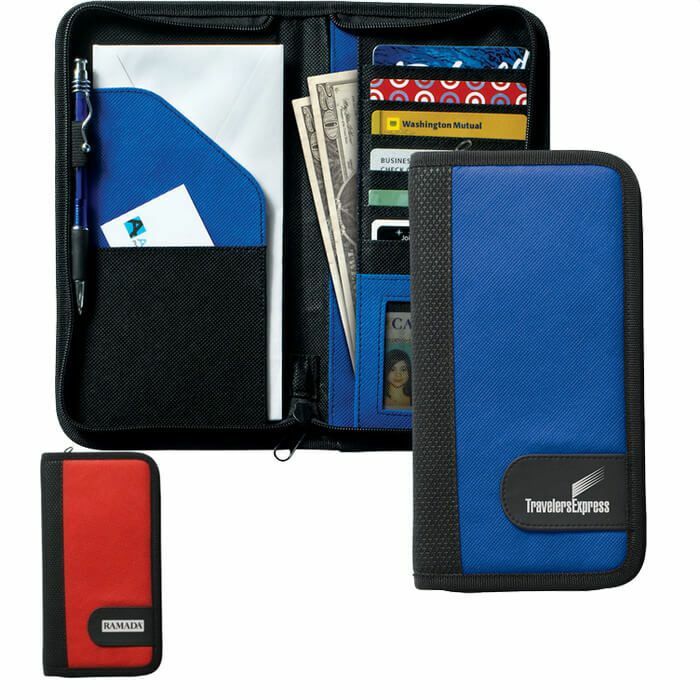 Outside pocket, 4 inside pockets-fits passport, 6 card pockets. Pen loop (pen not included), see-through mesh business card pocket.